Updated 8:06AM, Tuesday November 13th, 2012	by Sam Hailes, Christian.co.uk Be the first to comment! 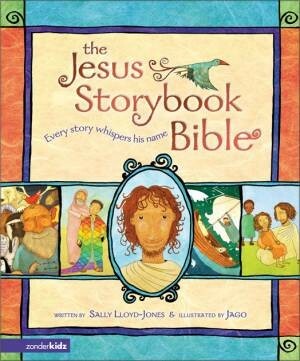 Sally Lloyd Jones is the author of Children’s Bibles and Bible Storybooks that grown-ups love too. Why is that, and how does she do it? Praise for Sally Lloyd Jones' Children's The Jesus Storybook Bible comes from high profile grown-ups including Tim Keller and Mark Driscoll. “I’ve got it right if I make children laugh and grown-ups cry. 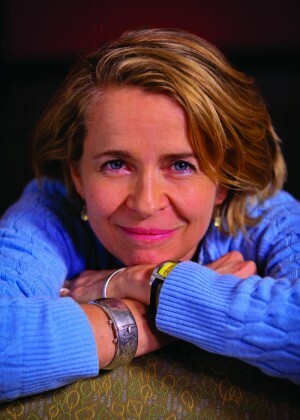 But if I start doing the opposite I’d better stop,” Sally laughs, as we talk about her success. Perhaps the most important thing to say about Sally’s book is that the author doesn’t feel it belongs to her. Despite most authors claiming they had no idea their book would be a success, Sally isn’t afraid to buck the trend and admit she knew at the time of writing that she was working on “something special”. It was this big vision that propelled Sally to ask David Suchet to narrate the audio version. “If you don’t ask, you’ll never know,” she says. Needless to add, she was delighted when he agreed. Sally believes the reason her children’s Bible has been so well received by adults is its power to disarm readers. “As adults, we’re so defended. Something simple can move us to tears because it’s so simple. Blaise Pascal apologised for writing a long letter because he didn’t have time to make it shorter. If you write with that kind of serious intention, and you respect children, then the by-product is that you reach adults. Another reason behind its positive reception and long list of awards is that The Jesus Storybook Bible allows adults to grasp an overview of the Bible’s storyline in just one sitting. “We go to church and we hear sermons. And we’ll have a text based on one story, but it’s hard to get the through-line of the whole plot from beginning to end and to realise what the Bible is all about. It’s illustrated and it’s very accessible. It’s not academic. Sally’s road to writing one of today’s most highly-regarded children’s bibles was not easy. Working on textbooks at Oxford University Press, Sally heard laughter coming from down the corridor. In the end, Sally says, she was “fed up of not trying”. In what she describes as a brash move, she invited a friend over to see if they could come up with an idea for a children’s book. “The journey for me was taking small steps. So the first step was her coming to stay and we brainstormed some ideas. The next step was thoughts of what we could do, then we presented to the publisher and he gave us feedback. It’s not that it happened overnight by any means. Sally’s own childhood was influential in the way she wrote the children’s Bible. “I was six and brought up in a Christian home. I knew all the Bible stories, but I remember walking to church one Sunday morning holding my Dad’s hand. As we approached the Sunday school that I hated, inside I was saying, ‘when I grow up I’m never going to church again’. “I thought I had to be good and then God would love me. I always felt I wasn’t getting it right and God must not be pleased with me. I made the Bible all about me and what I must be doing. “I want children to know what I didn’t know as a six year old. The Bible isn’t about me and what I’m supposed to be doing; it’s about God and what he’s done. It’s not a rulebook, it’s not a book of heroes I’m supposed to copy - because most of them aren’t heroes. They are people who need God in a bad way. 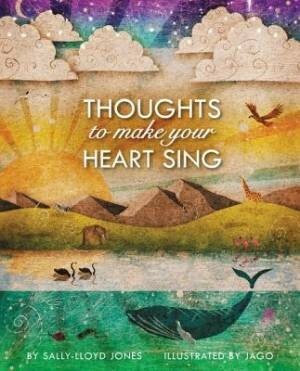 Sally’s latest book Thoughts To Make Your Heart Sing is a devotional for children. The idea came after a difficult family situation. “My niece had gone from being a very joyful, happy, skipping child who would sing all through the house as if she was on a soundtrack of her own life, to a hidden away and a very quiet child. She’d gone from singing, to you could barely hear her speak her voice was so quiet. “Later we found out she had been bullied at school. She had decided if she was the opposite of what she normally was, she wouldn’t get into trouble. Even at home she had gone into this quiet person because she thought: ‘I can’t be me. Me is loud and noisy so I must be really quiet’. “The child says, 'Yes I just have to be quiet to pray'. The father said, ‘That’s wonderful what are you going to pray?’ And they say, ‘I need to ask Jesus to forgive my sins’.